It’s the sound of the sea. It trusts and loves you. 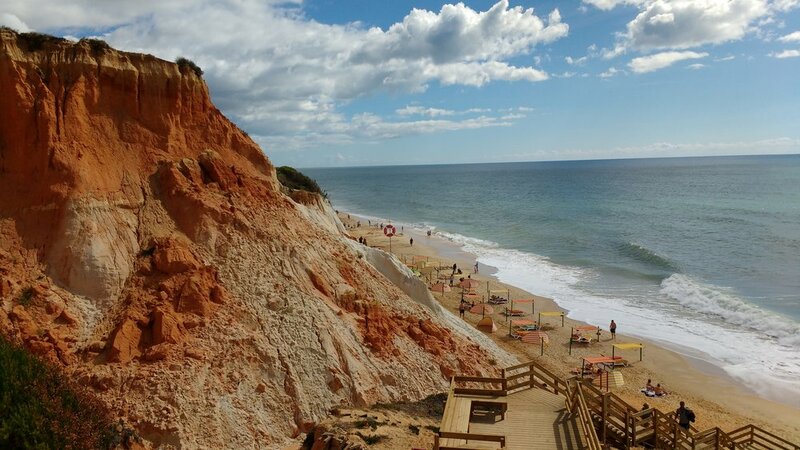 I wrote this on the first day of my holiday in one of my favourite places, Falesia in the Algarve. The sea here is often rough and the beach is a rich orange colour. The weather in Autumn is beautiful, deep blue skies and pleasant temperatures. This holiday was much needed. Well all holidays are, but I was suffering with overwhelm and desperately needed to "unplug". So I decided to unplug on holiday, starting with a jog to the top of the beach. Inspired by takeaways from my mindfulness course, I simply sat and breathed, listened, and watched the sea.